The Return to New Paltz! I was so excited to return to New Paltz, NY! We come up here mostly for the climbing, but there is a bar in this town that I am absolutely in love with, Bacchus! 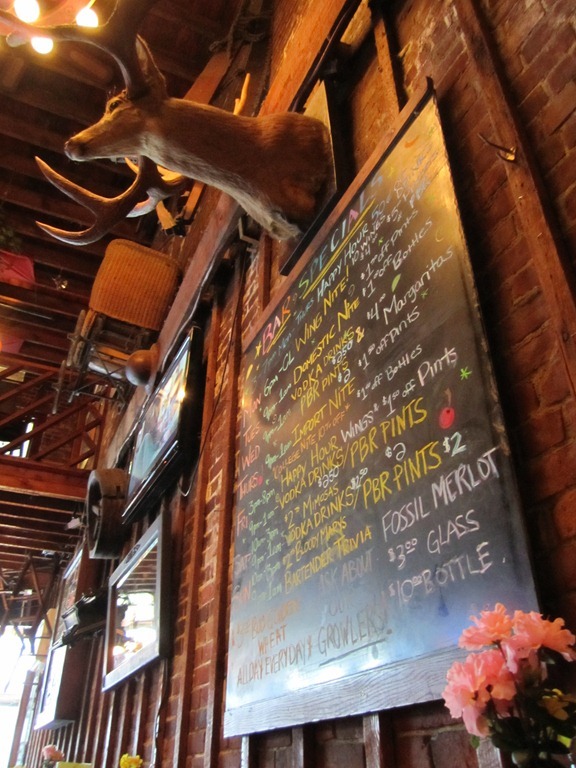 I just love the brick walls and all the old dark wood. It just has such a fantastic atmosphere. 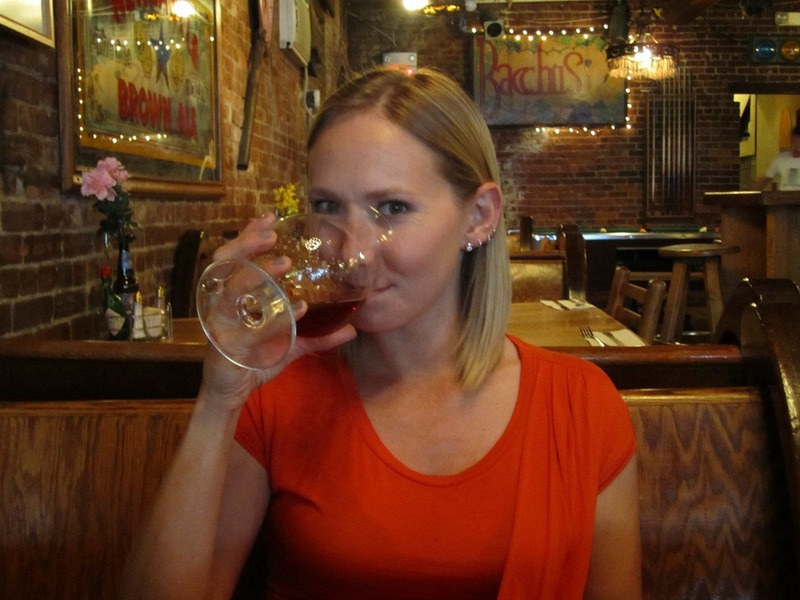 To start, I got the Weyerbacher Quad by Weyerbacher Brewing Co of Easton, PA at 11.8% abv. This beer was definitely a heavy hitter! 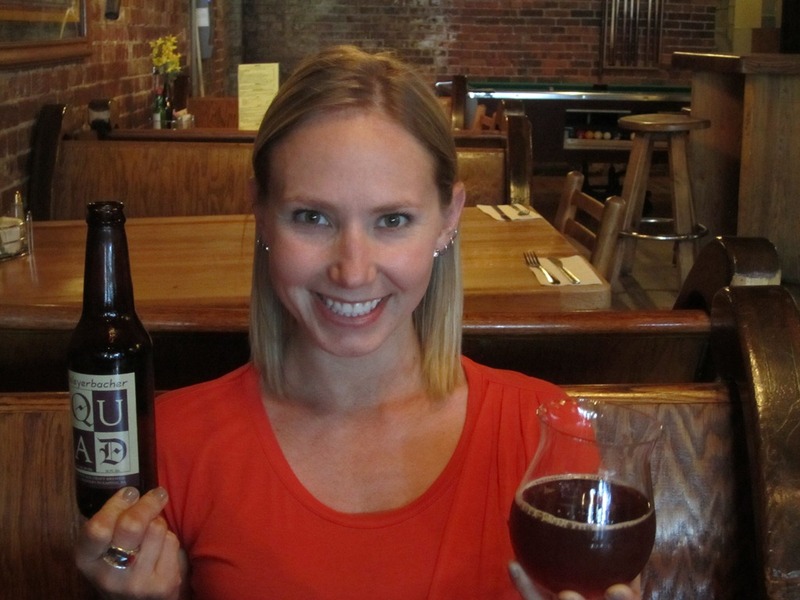 In alcohol content and in taste! I really like Weyerbacher, I don’t think I’ve had a beer of theirs that I haven’t liked! Anyway, dark fruits, raising, figs, dark cherries. Mild spicing with cloves and pepper. A nice slow sipper. 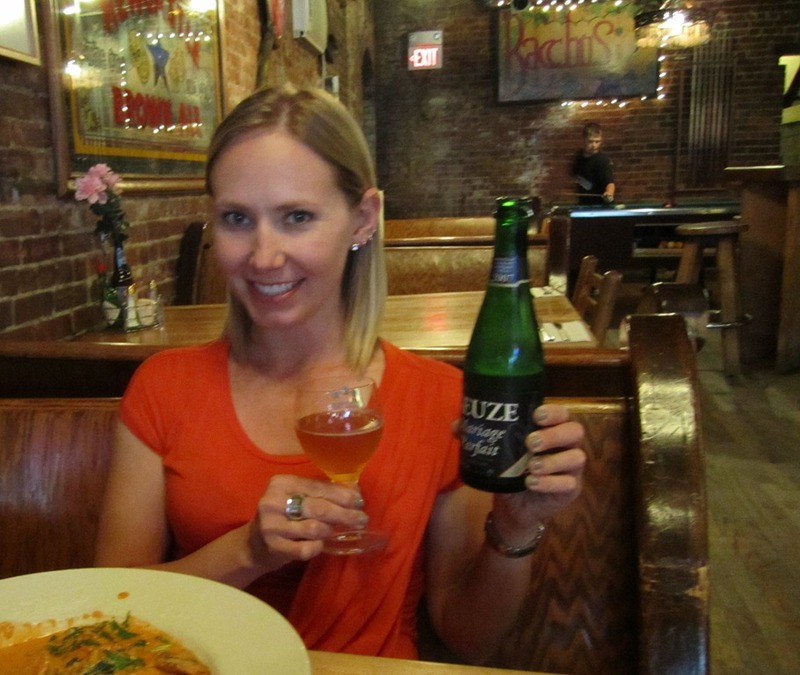 And I was quite excited to try another gueze! I ordered the Boon Oude Gueze Mariage Parfait by Brouwerij Boon of Lembeek, Belgium at 8% abv. Nice gueze. Only very lightly fruity. Tart with lemons and white grapes. Actually not very sweet at all. Very good traditional style, not overdone with all the bells and whistles. Sour and refreshing. Well I certainly carb loaded for all the climbing tomorrow! Monday was fantastic!! It was sunny and empty (because everyone had cleared out the day before due to the rain). We slept in late to let the rock dry out a little more, and then we had an awesome day climbing! We got on some really classic routes! We were using Jack’s 70 meter rope so we were able to string 2 pitches together for a few climbs and move a little faster. 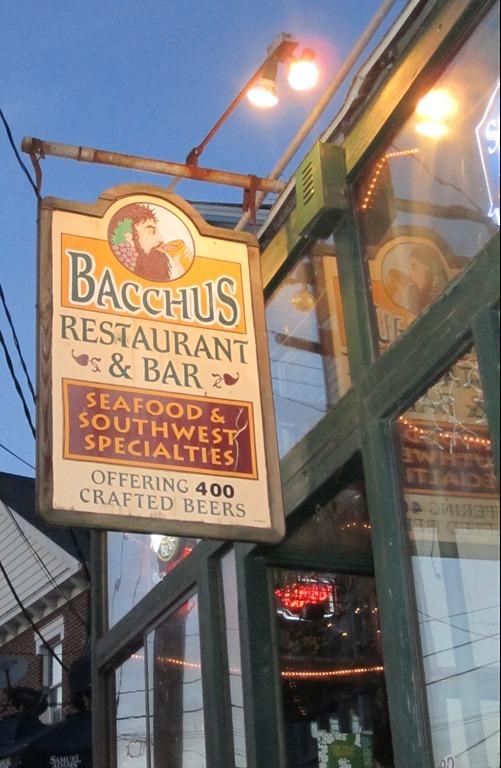 When we were picking dinner options I knew there was only one place I wanted to go….Bacchus!! 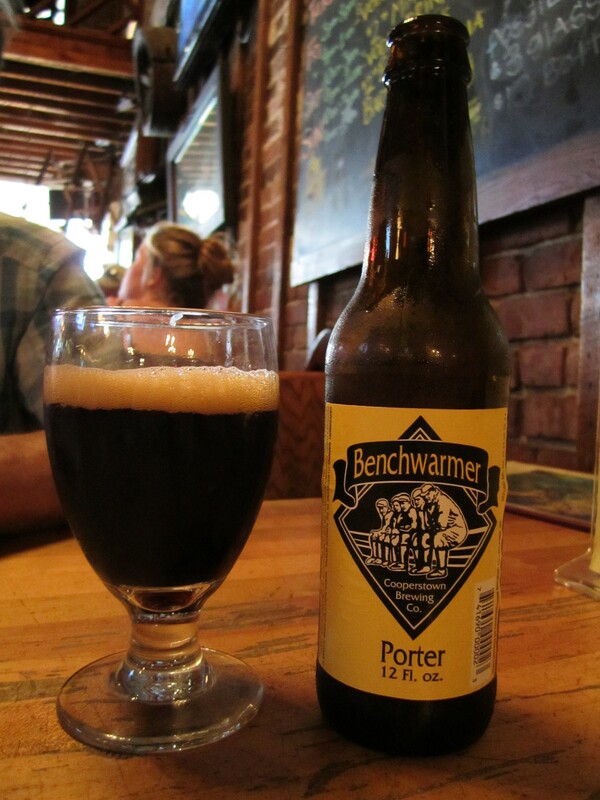 Jack was really trying to pick and try New York beers on this trip so he got started with the Cooperstown Benchwarmer Porter. I took a couple sips, it was pretty good, but it had moderate carbonation. Couldnt much taste the alcohol, which was good considering it was 6.3%. 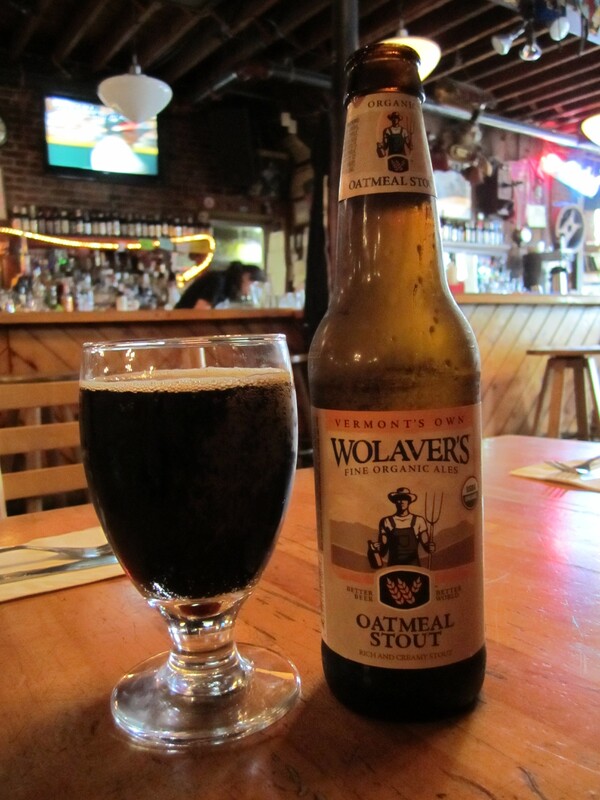 A drinkable, English style porter. This was a very good beer! Very creamy, smooth and chocolaty. I was in heaven! 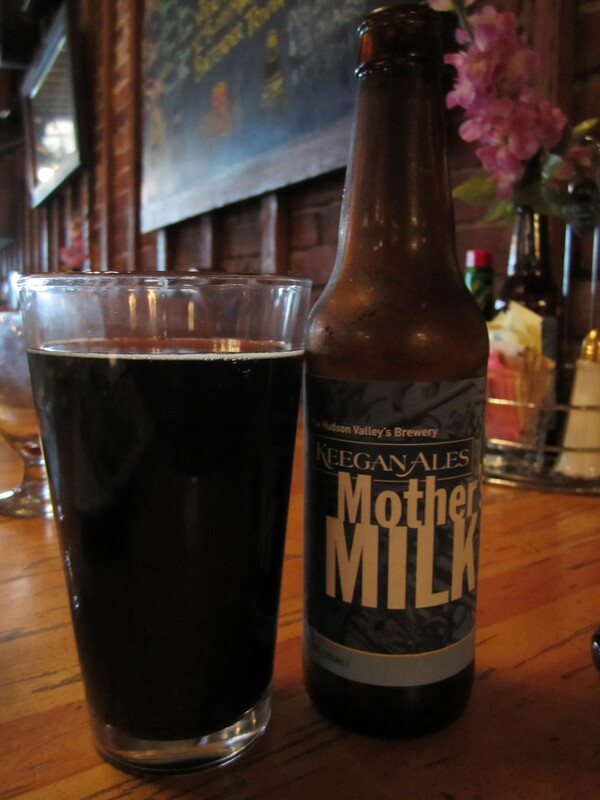 I got the bacon wrapped scallops for dinner, and for desert I decided to have one more of the Keegan Mother’s Milk Stout, because I have a feeling it might be kinda hard to track down in DC. That about sums it up for the Gunks and New Paltz. Cant wait to go back! ps- Today I hit up Total Wine, they did not have the Southern Tier Creme Brulee Stout. What am I going to do?! ?